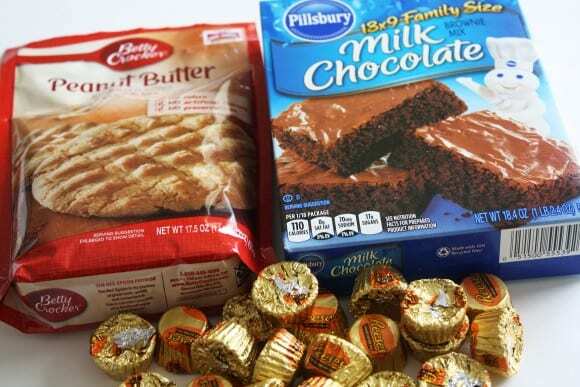 It's 9pm and your daughter announces that there's a charity bake sale tomorrow at school and she has to bring something the next morning. What do you do? 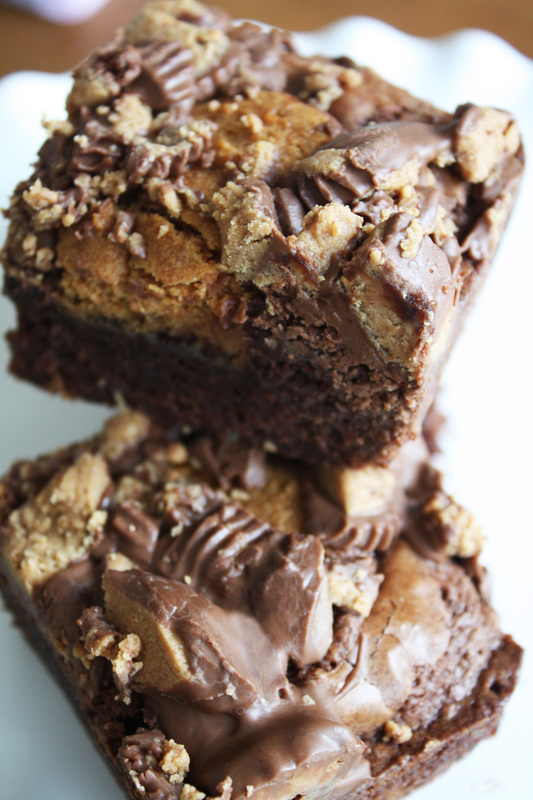 You make these easy Reese's Peanut Butter Cup brownies and all is right with the world. If only everything in life could be this simple! These brownies are delicious. 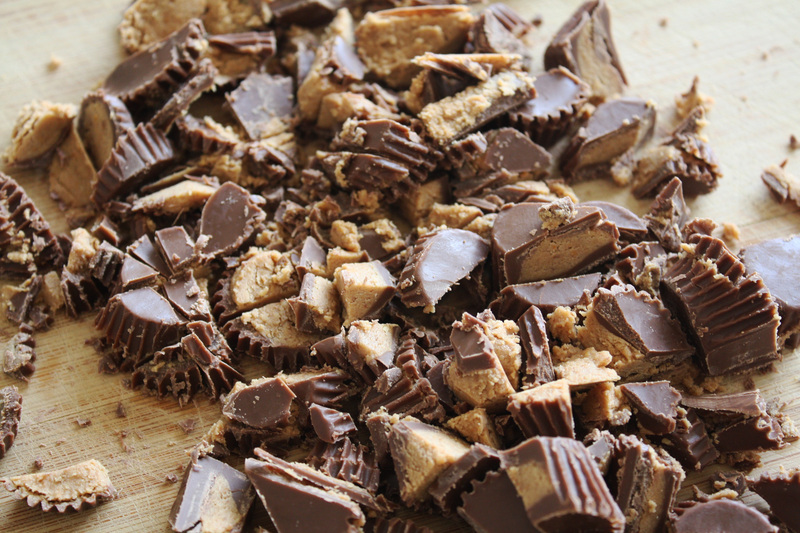 They turn out chocolatey, peanut buttery, and the best part is the chopped Reese's on top. I promise, these brownies will sell out super quick at the bake sale, which means more kisses for Mommy! Win-win! Preheat oven to 350 . Grease 13x9” baking dish. 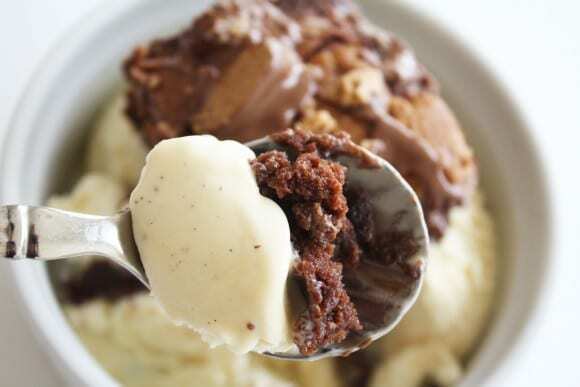 In a medium bowl make brownie mix according to package. In a separate bowl make the peanut butter cookie mix according to package. 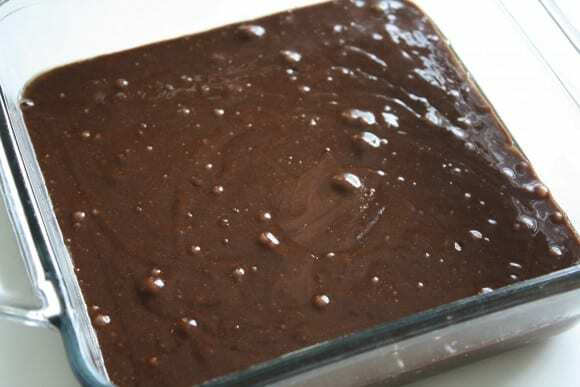 Pour brownie batter into greased 13x9” baking dish. 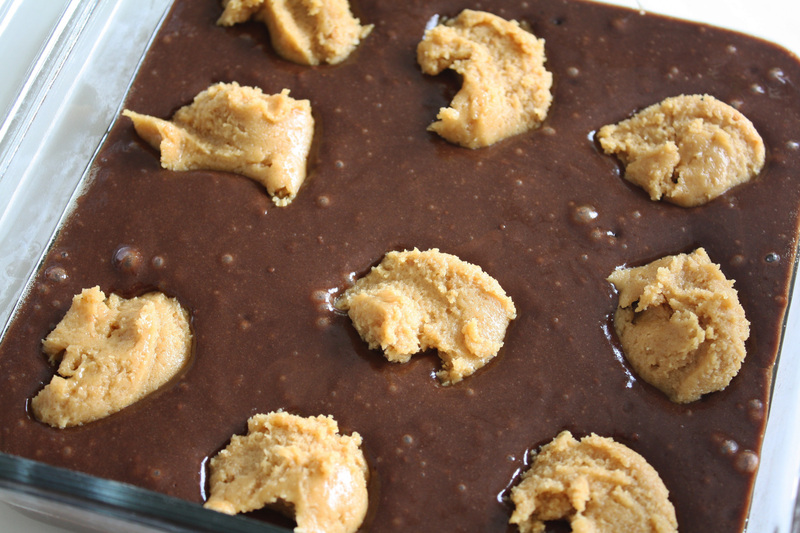 Using a tablespoon, scoop peanut butter cookie dough on top of the brownie batter. When the brownies are done, remove from oven. 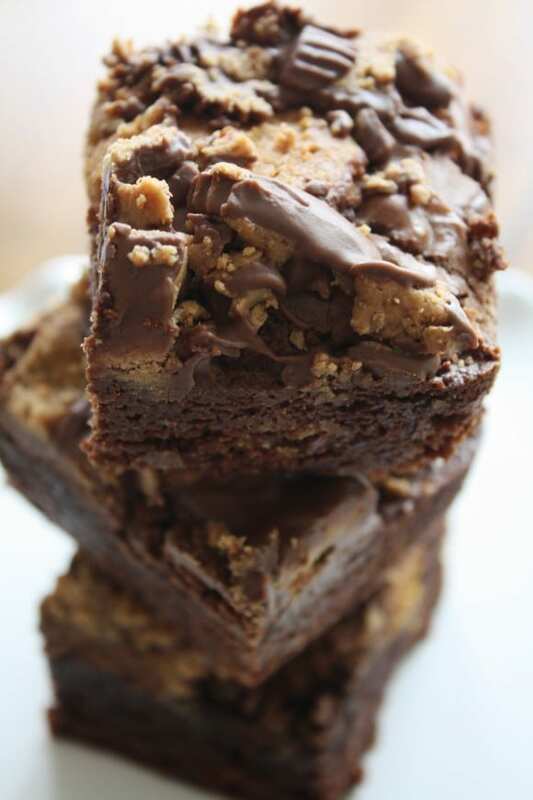 Sprinkle chopped peanut butter cups over warm brownies. Or just by themselves. :) Enjoy! Are you a blogger? 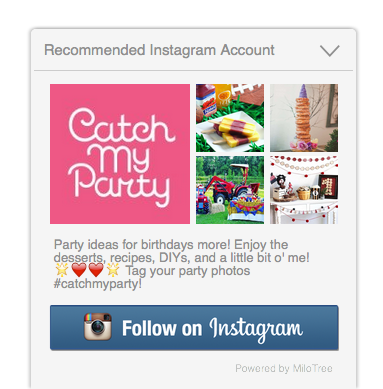 Do you know about the "smart" MiloTree pop-up we built to help you grow you Instagram, Pinterest, and/or Facebook following? It's free and super easy to install. We built it for ourselves to grow our social media followings. It worked so well for us, we decided to help other bloggers grow theirs . If you've been to Catch My Party, chances are you've seen this. 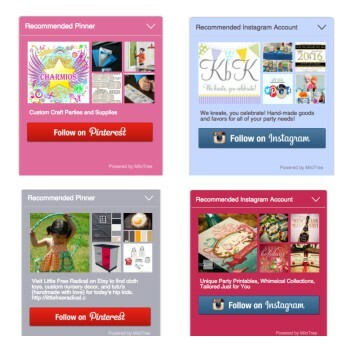 This rotates with our Facebook pop-up and Instagram pop-up. Get yours personalized pop up now!